A three hour eastward journey from Warsaw brings us to the borders of a country represented by a blank spot on many tourist maps. Let us set aside our prejudices and political clichés for a bit and take the plunge into a new destination. It is sure to be worth it! We are about to discover a scarcely known but exceedingly welcoming country, that also provides sufficient tourist infrastructure. The cities are clean and well maintained with carefully renovated cultural monuments. And the magnificent natural landscapes and national parks are a particular highlight. Cycling through Belarus requires no great effort. Traffic is sparse, there are no mountains, and the roads are quite good - some of them even with bike lanes. Given the success of our cycle tours in Ukraine we hope that this new adventure will also attract wide interest. Two tours have been planned for 2012 and they are being organized with a schedule similar to the Ukraine tour ? we will be on the road for 10 days (from Friday to Sunday) with full-board accommodation. The tour will start and end in Warsaw, a city that enjoys easy accessibility with numerous flights and trains. This program is however, far less strenuous than the Ukraine program. 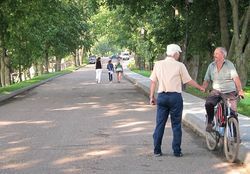 Daily legs over flat terrain do not exceed the 40-60 km limit. And the additional transfers by bus in Belarus are also not all that long (at the most 2-3 hours). There are be two overnight stays at lakeside hotels and both are for two nights. You have the choice of resting at the lovely lakes instead of going on an excursion. We would request you to register early for this tour due to visa requirements for tourists. Individual arrivals in Warsaw. Depending on how you choose to arrive, we meet at either the airport or at the central railway station in the afternoon. Departure to Bialystok (a city near the Belarusian border) is at 2:00 pm. We would advise those not able to book a morning flight or the night train to Warsaw to come a day earlier and to book an extra night. 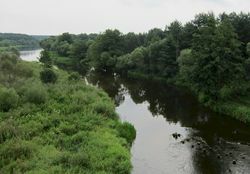 After crossing the border we cycle along the high banks of the Neman river to arrive at the Augustów Canal. This old waterway dating back to the 19th century recently underwent complete renovation. The four chamber lock at Niemnowo is particularly impressive. 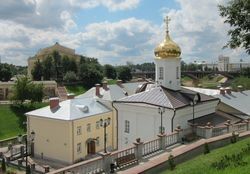 There is an overnight stay at the medieval city of Hrodna, a city with two castles and some churches of historical interest. 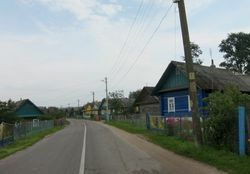 We travel by bus to northern Belarus where time seems to have come to a halt. Villages with tiny wooden huts standing empty for the most part have scarcely altered in the last century. 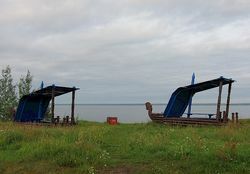 We then cycle along a string of smaller lakes and soon arrive at the crystal clear Naroch Lake, the country's largest lake. Berezina National Park has the country's most famous biosphere reserve, the Berezina Biosphere Reserve, which is at the water divide between the basins of the Baltic and the Black seas. This is the source of the Berezina River, famous from Napoleonic times. We then cycle through a huge expanse of untouched wilderness- dark forests, moors, rives and seas. You may, if you wish to, also go for a canoe ride. East European metropolises are not usually a particularly good goal for tourists on cycles. This capital city is an exception to the rule. 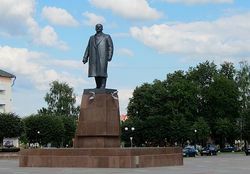 Completely destroyed in World War II, Minsk was rebuilt by Stalin to become the ?ideal? socialist paradise city. The Svislach River flows through the entire city, and breaks up into numerous lakes surrounded by parks and beautiful alleys. We then cycle to the city centre, a mixture of Soviet architecture and high-tech style. And finally we visit two imposing historical architectural monuments that are exactly a day's leg apart. The Radziwill family?s castle in Nesvizh from the 17th century with its beautiful parks was recently renovated with great care. There is an even older castle in Mir similar to a fortress. 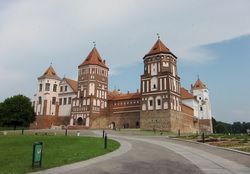 It is a mixture of gothic, renaissance and baroque work that was recognized as a UNESCO World Cultural Heritage Site following successful restoration efforts. Today we start the return journey to Warsaw, where we will be spending the last night. The time of our arrival will be either early or late afternoon depending on how long border formalities take. Departure from Warsaw unless you would like to go on another cycle or trekking tour offered by Bird Service. Not included in the price: Travel to Warsaw, drinks and tips.